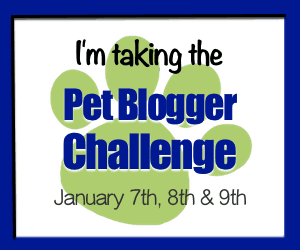 I came across the Go Pet Friendly Pet Blogger Challenge a few weeks ago and thought it would be fun to participate. This post shares our blog highlights from 2016, outlines our goals for 2017, and gives a bit more background information that will hopefully be interesting to both new and longtime followers. Shall we begin? With the new year and all, we wanted to take the opportunity to do a little year in review of 2016 and also introduce ourselves to any new followers we may have. If this is your first time visiting, welcome to our blog! We are Jen, Dave, and Sora, our Australian Shepherd and since April 2015, we have been traveling by bicycle (most of the time— sometimes we solicit the help of vans, buses, and truck drivers) throughout Europe and South America. On this journey, Sora has traveled to 23 countries (once we reach Colombia in a week or so). We began this blog in October 2014, offering tips for preparing for a longterm cycle tour— something we actually knew very little about at the time! Prior to our departure, we had only done three weekend cycle tours in Oregon and Washington. Today, we continue to offer tips for cycle touring (and we’re much more knowledgeable now, so you can trust our advice more), traveling with a dog, outdoor adventures with a dog, and tales of our misadventures on the road. Additionally, I love to cook and share vegan camp recipes from time to time. Blogging is hard work. Really hard. Throughout 2016, I felt reminded of this every time I sat down in front of the computer to write a blog post. After a long day on the road, the last thing I want to do is write. Or think. Or move. But I love this. I love sharing my stories and serving as a source to tell everyone wondering— yes, you can travel with your dog. I feel proud every time someone reaches out to us via email or social media and asks how they can also travel with their dog. That is the very reason we started this blog and we feel so proud that through our adventure and what we have shared, that we have inspired others to bring their dogs on their farther away adventures. We also created a holiday this year called Bike with Your Dog Day, aimed at getting people to try biking with their dogs. I had no idea how the holiday would go. How many people want to bike with their dog? We partnered with some amazing folks to help us spread the word and over 200 people participated in our Instagram contest. I was beyond grateful for everyone who gave it a shot and helped make the holiday a success. I can’t pick just one post, so I’ll share a few of my favorites from the year. I recently decided to start the Street Tails series, which focuses on stories of animal rescues. We helped our friend Flavia rescue her Peruvian street dog, Tupac (not named after the rapper, but after the Inca warrior, after whom the rapper was also named), I decided I needed to share more stories like theirs. Dave, Sora, and I also volunteered at an animal shelter in Northern Peru, where we helped Rosemary Gordon, who has been managing the shelter out of her home for the past 30 years. She has over 40 cats and a handful of older dogs. Giving our time to Rosemary and these animals was both one of the most joyous moments of our trip, and also one of the most difficult, given the severe lack of education and mistreatment of animals we saw during our visit. Finally, my favorite story tells of our trip across the Bolivian salt flats, where we didn’t shower for a week, stayed in some towns with no running water (and therefore no toilets…), and struggled to find food. We also saw what poverty really means, and it’s not what you think. Ah, this is one area we’ve been working hard to figure out. We have seemed to stall out at 6,000 pageviews per month for awhile and will be putting some major focus on growth over the next several months. I joined a lot of Facebook groups for travel bloggers that exchange social media shares or comments. While this drove some traffic, what helped most was creating communities and building friendships within our niche. I’ve since asked for mentorship from a fellow travel blogger (hi Claudia!) 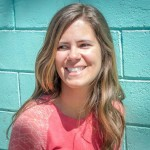 she has offered some massively helpful tips for how to grow our blog. Which of your blog posts got the most traffic this year? Have you noticed any themes across your most popular posts? Our most trafficked blogs are all over the place! By far, the most popular post is my Golden Milk recipe. It has nothing to do with travel or with dogs, but I’m telling you, it’s worth a try because it is deeeelicious! Another popular blog post from the year is How to Cycle Tour with a Dog where we tell you all you need to know about how to bring your pup with you on a two-wheeled adventure. I really enjoy You Did What with Your Weiner. I discovered Jessica’s blog sometime during our trip and love that she is also out to prove what some think is impossible: That your small dog can, indeed climb mountains, put in the miles for a long backpacking trip, and be an all around adventure buddy. We’re planning to take a few months off soon and plan to redesign our blog. I absolutely love her outdoorsy theme and will certainly look to her blog for design ideas for our own. And, how ’bout that name? Another blog that has proven invaluable to us during our travels is The Ramble. Like us, Gigi travels with her best friend, Luna. I scoured her blog before departing about travels in Europe with a dog and reached out to her regarding how to travel on a plane with a dog. She was the first person I found on the web who travels internationally like we do with a dog. People are most surprised when we tell them that Sora is 11 years old (she turns 12 on January 24th). She is still in great health, but also at an age where her hyper herder energy has settled and she can be content riding in her trailer for several hours per day. Finding community within your niche is so important. They will be your tribe, your cheerleaders, and they will share your work. Most of all, many of them will become friends. I’ve put a ton of focus on Instagram this year and have made some amazing friends. Some we’ve had the pleasure of meeting in real life, and some I hope to meet in the very near future. As I mentioned earlier, growth is our #1 goal for 2017. I plan to write more posts for other bloggers and increase our social media presence. Ultimately, we want to work with more brands and tourism boards to promote pet-friendly travel. Where are the dog and pet-blogger sharing groups? I’ve found plenty in the travel realm, but I’d really like to tap into the pet audience more. PS: I love your photography – very dynamic! Thank you for the kind words about my photos! We couldn’t imagine our travels without Sora by our side. Our pups make adventure so much more enjoyable and fun- the ultimate adventure buddies. There is triberr.com but the pet blogging community isn’t as active as it once was. Then there is https://www.facebook.com/groups/blogpawsboost/ that one is very good. Ahhhh, I know about BlogPaws, but didn’t know about the Blog Paws Boost Facebook group. Thanks so much for sending the link. I requested to join, so hopefully I’ll see you there! Oh my gosh, how have I not visited your blog before! Your pictures are incredible and I am in awe of your travels! Wonderful that Sora is so healthy. In terms of dog sharing groups, check out BlogPaws. They are a wonderful resource and also have a boost group on Facebook where we collaborate and share each other’s stuff. Look forward to following your adventures! Thank you so much for the kind words. I’m glad this wonderful Challenge brought us together. You’re the second now to tell me about the Blog Paws Boost Facebook Group. I made a request to join and look forward to building the pet blogging community. Thank you for pointing me in the direction! Hi Jen! Thanks so much for joining the Challenge – what you’re doing is amazing! We’re both working toward the same goal of inspiring people to travel with their pets, though I feel like you’re much more adventurous than we are! There is a Pet Blogger Support Group on Facebook that would be a good place to start connecting with pet bloggers. Maybe we should start a group for people who’s blogs focus on pet travel! Also, we love having guest posts on GoPetFriendly.com, so keep that in mind – it may be a good way to reach your niche within my audience. All the best to all of you in 2017 – I can’t wait to see where your adventures take you! I will absolutely reach out to you to write a guest post. Thanks for directing me that direction. Some other doggy bloggy friends and I have talked about creating a Pet Bloggers FB sharing group. It’s in the works, so we will be sure to keep you posted and let you know once it’s alive and going. Hopefully very soon! In the meantime, I’ll check out the group you mentioned. I look forward to connecting more and growing this community together! So glad you joined the Challenge this year because that’s how I discovered you! I’m so glad I did too! I’ve met so many wonderful dog bloggers through this and look forward to building my doggie community! Thanks so much for stopping by. oh what a fun challenge! Thanks for the link I will work on ours today! I think it might be over! If it is, I’d still love to see all your answers to the questions!